Wendy Wasserstein, 'Lost' And Found The Pulitzer- and Tony-winning playwright wrote about the struggle by her generation to balance professional and family life. A new biography sheds light on the links between Wasserstein's life and the characters she created. Wendy Wasserstein in 1985, beneath a poster for her play Isn't It Romantic. Wasserstein's plays examined the place where the upheaval witnessed by the baby boom generation met the demands of family and professional life. 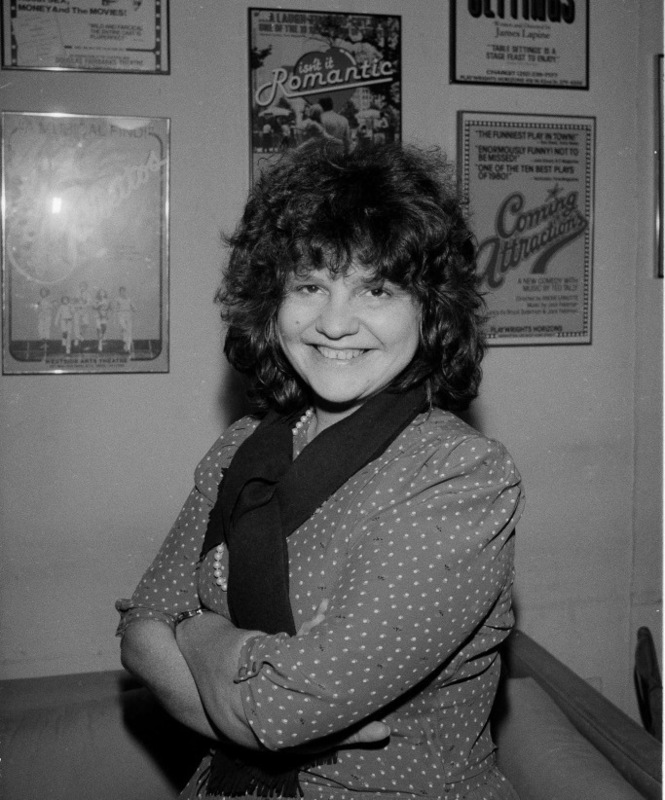 From the late 1970s until her death in 2006 at age 55, playwright Wendy Wasserstein was a force in New York theater. She won the Pulitzer, the Tony and many other awards for writing about her generation of educated, successful women struggling to balance their professional and family lives. 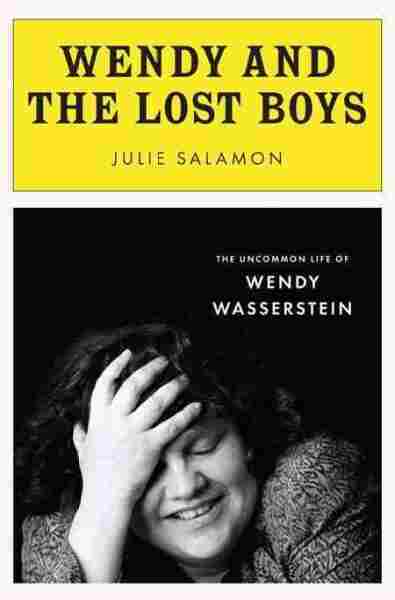 "The crucial thing about Wendy is she was born in 1950 at the height of the baby boom, and her plays address the issues that people of her generation, especially women, were dealing with," says Julie Salamon, the author of Wendy and the Lost Boys: The Uncommon Life of Wendy Wasserstein, a new biography that illuminates the links between Wasserstein's characters and the playwright herself. Wasserstein's writing could be funny or sad, but either way, Salamon says, her writing always struck a chord with a generation that was rocked by big social upheavals: "Changes in rights, attitudes, expectations for women, for gays — all of that was happening during Wendy's lifetime." Her plays reflect the shifts. The heroine of her 1988 play, The Heidi Chronicles, goes to a women's consciousness-raising session, where she hears a dedicated feminist explain that "every woman in this room has been taught that the desires of her husband, her son or her boss are much more important than her own. Now, the only way to turn that around is for us, right here, to make what we want, what we desire, to be as vital as it would undoubtedly be to any man." The Heidi Chronicles won the Tony Award for best play and the Pulitzer Prize for drama, which thrilled everyone in Wasserstein's wide circle of friends and family. That included her mother, Lola, whose pride in her daughter collided with her criticisms that Wendy was fat, unmarried and childless. Lola's words to her daughter: "You make me want to bleccccccccch!" A mother from hell. "When Wendy won the Pulitzer Prize, Lola supposedly told all of Wendy's aunts, 'Oh, Wendy won the Nobel Prize,' " Salamon says. "Or she would say, 'I'd be just as happy if she married a lawyer.' So either way, the Pulitzer Prize was not good enough." Lola Wasserstein's award-winning, unmarried daughter was able to rise above the insults, hurts and frustrations by putting them on stage. "In The Heidi Chronicles, the main character is a woman who's a professional — she's an esteemed art historian — but she's in her 30s and she isn't married," Salamon says. "And she's pondering what her life is about. She's pondering what the women's movement has meant to her, the things that have been helpful in her career but also left her without a family. And that was an essential question that runs through all of Wendy's plays and certainly through her life: How do you have it all? How do you balance family, career and friendship?" Unmarried, successful Wasserstein made a family of her friends. She had intense relationships with various brilliant and talented men whom she called "my husbands." "She had so many husbands. She had a harem of husbands," Salamon says. They were the stars of the New York theater scene: Andre Bishop of Lincoln Center, playwrights Terrence McNally and Christopher Durang, director Gerry Gutierrez and critic Frank Rich. "She specialized in the impossible relationship with unavailable men. She fell in love repeatedly with men who were gay or men who were married or men who didn't want her." The men in her plays were also impossible for Wasserstein's heroines. Yet, on stage as in life, they remained great friends. At the end of The Heidi Chronicles, the unmarried Heidi Holland adopts a baby and introduces the infant to a former lover. The play closes with Heidi, in a rocking chair, singing softly to her child. Four years after that play opened, Wasserstein began fertility treatments, and in 1999 Lucy Jane Wasserstein was born — prematurely. She weighed less than 2 pounds. Her mother was 48 years old; her father remains unknown. When her daughter was 2, a terrible chronology began: Wasserstein became ill in 2001. She died of lymphoma in 2006. Wendy's brother Bruce raised Lucy Jane until he died in 2009. Lucy Jane remains with his ex-wife and children. Five years after her death, those closest to her and even casual acquaintances can't quite believe it. She attracted such affection. "She was so warm, she was so engaging. She was so there," Salamon says. For those who loved her, the loss remains palpable.